Rate this Article The Arabian Stallion is considered as one of the most important breeds of horse today and throughout history. The Arabian Stallion is considered as one of the most important breeds of horse today and throughout history. In fact, strains of the horse’s bloodline can be found in a majority of other breeds that have come out in contemporary times. What makes this particular breed stand out among others that breeders will want to cross it with other strains to create a great bloodline? Let us first take a good look at the history of this particular horse. While called Arabian, researchers are still not in agreement on the actual origin of the breed. What is known historically, however, is that the ancestors of what is known today as the Arabian Stallion roamed wild in the Middle East until they were tamed and domesticated by the wandering Bedouins. Researchers seem to agree on the suggestion that the progenitors of the Arabian Stallion were bred both for war and for work, a fact that is apparently reflected in the personalities of the modern Arabian Stallions. The horse was bred to have endurance, brilliant speed and a resilient bone structure, which gives them the capability to last in servile work in the fields and in the harsh battlefields of war that the humans who bred and took care of them rode them to. They were so prized that Bedouin families were known to let their horses into their tents and sleep with their family. This is to prevent other Bedouins or raiders from outside the camp to steal the horse, or even kill it. Today, the many refinements that were added to the breed over thousands of years that have passed have resulted to a very refined, sophisticated and regal breed that is as equally prized as it was millennia ago. One of the reasons that the Arabian Stallion is much sought after breed is that it is very versatile. Reflecting its dual nature over time as a worker and war horse, today’s Arabians excel in various equestrian events. While certain breeds are limited only to one visit or even two, the Arabian Stallion can be trained to compete in several events. However, it does best in endurance riding because of its excellent physical constitution. In addition, one of the strong points of the Arabian Stallion is that it has excellent aptitude. It picks up with training very quickly, making it a breed that can easily be trained for excellence not only in horse events but also in getting along well with its human companions. Not that the Arabian Stallion is a fierce animal to begin with; it is generally good-natured. It is also very eager to please, which helps it greatly in developing a good aptitude for training. 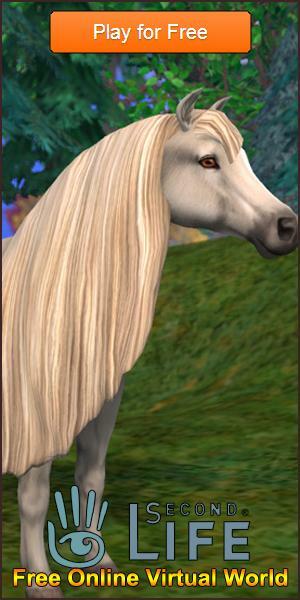 Arabian Stallions are great horses to have for your farm. Of course, in horse games, it is also one of the best breeds to take care of. Playing horse games is a great opportunity for you to get to know the Arabian Stallion without dishing out lots of money to acquire a gelding.